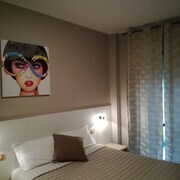 An exceptional experience to stay and live in a museum! Not only were the grounds spectacular with 360 degree views on a hilltop, it also has all the modern luxuries including marble slab baths rooms. Heated towel racks, with a separate standup shower. The staff were kind and attentive. Having only 12 guest rooms, one feels like one is living in a private castle. The indoor heated pool was a surprise at the end of a 150 meter long original brick passage way! Svetlana was kind enough to give a historical tour of the castle highlighting the original restored museum rooms to the unique Venetian Murano chandelier. Breakfast in the original family dining was a sublime experience. 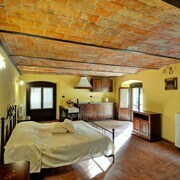 The Castillo was a perfect getaway to reach the many wineries and great restaurants in the area. A definite must to return! Stuff your suitcase and prepare for new adventures! When you use Expedia.co.nz to reserve a room at any of the hotels, motels, or resorts in Nizza Monferrato, Piedmont, you’ll save time and money. Our massive selection of over 603 accommodation options makes it simple for you to find incredible deals on local hotel options, whenever the urge to travel strikes. 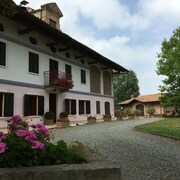 Besides our unbeatable rates on rooms, you can keep even more of your cash and streamline your plans by combining your Nizza Monferrato accommodation with your plane ticket. You’ll score the best possible prices when you bundle your travel arrangements into one package, and be able to hit the ground running as soon as you arrive. 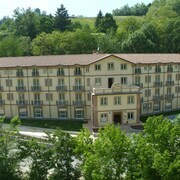 At Expedia, we don’t just offer outstanding deals on our trips to Nizza Monferrato, Piedmont. We also give you a range of offers to help you plan a cost-effective trip, no matter where you’re going. Not only will you find a variety of incredible holidays on Expedia.co.nz, but if you see a better rate elsewhere, we’ll match the deal or provide you with an equally attractive alternative. Right here on Expedia.co.nz, you’ll find trusted hotel reviews written by travellers who’ve been to the hotels you’re considering, so you can find out exactly what to expect before you book. 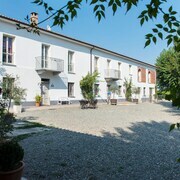 Our ever-expanding collection of reviews provides you the top tips and inside information you need to have the Nizza Monferrato hotel of your dreams. You can even look at extensive photo galleries and take virtual tours to see it all for yourself. 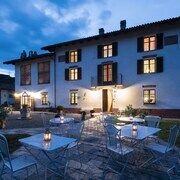 Sign up for an Expedia.co.nz account and you’ll gain access to the most competitive Nizza Monferrato hotel deals. Plus, when you become a member of our exclusive Expedia+ VIP program, we’ll offer you even more specials and extras to help you enjoy your stay in Nizza Monferrato. From free drinks to discount spa treatments, our VIP options ensure you’ll have a first-class stay. 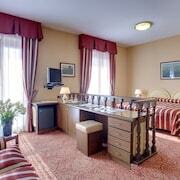 Why wait another moment to book cheap hotels in Nizza Monferrato, Piedmont NZ$75? Start searching for the ideal accommodation right now, and you’ll find the perfect choice in minutes. 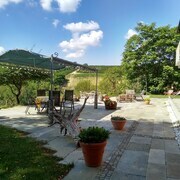 Explore Nizza Monferrato with Expedia.co.nz’s Travel Guides to find the best flights, cars, holiday packages and more!